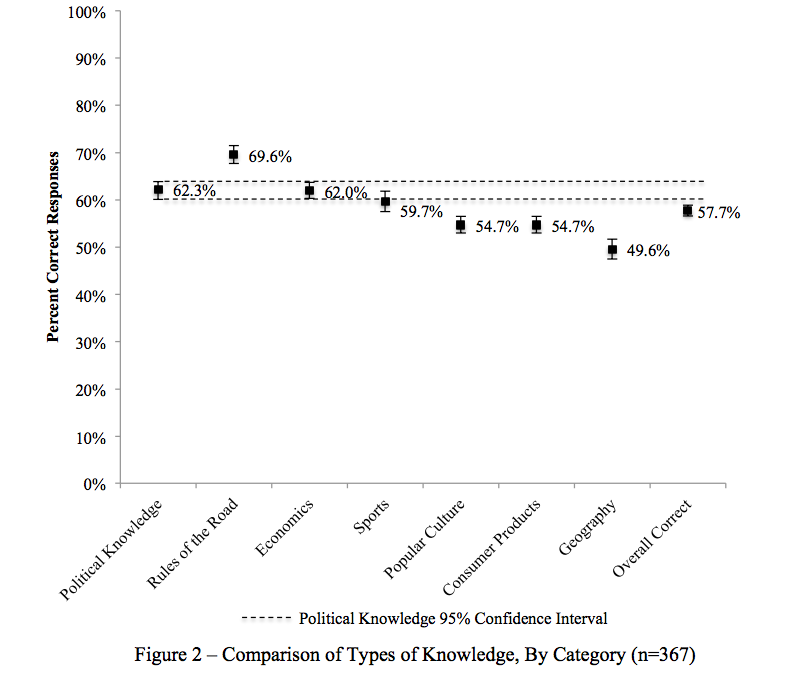 Democratic rule requires a certain level of political knowledge. 60 years of research indicates we are lacking it. In a working paper, Crag Burnett and Matt McCubbins show people know only slightly more about rules of the road and less about sports, popular culture, geography. Not sure if this is an optimistic story or not.